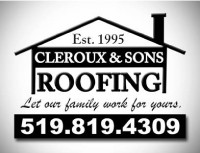 Cleroux & Sons Roofing would love to hear from you!  To schedule an appointment or to request a free estimate for our roofing services, please either give us a call or fill out the adjacent form at your convenience. One of our friendly, knowledgeable staff members will return your inquiry as soon as possible, typically within two hours. And don’t forget we’re available 24 hours a day, 7 days a week for emergency service! 24/7 – Call us anytime for service!